Stuck in a paralyzing paradigm? Want to improve your skills but feeling overwhelmed? If so, 2% is your solution. Paradigm and mindset are closely related. The emphasis on paradigm is geared towards our preparedness community. Mindset, for our purposes, will focus on the individual. Many believe mindset determines actions. Hipster life-coach gurus tell you to get your mind right before tackling a new skill, shedding pounds, or reaching goals. Your body follows your head. This theory may sell books, but will it work in the real world? Too often people believe they have to get mentally ready to start doing the stuff. A common result of information overload is prepper paralysis – drowning in a sea of knowledge. It’s not complete gobbledygook that our thoughts determine our actions. However, I have found that my actions determine my mindset – for good or bad. The act of doing a new skill or honing an existing one builds confidence in your ability. This cycle creates a circle, if you will, with no beginning or end. However, your circle remains broken until you take the first step… Action! Thoughts won’t get the job done. Action (Doing the Stuff) is the light switch in an electrical circuit above. 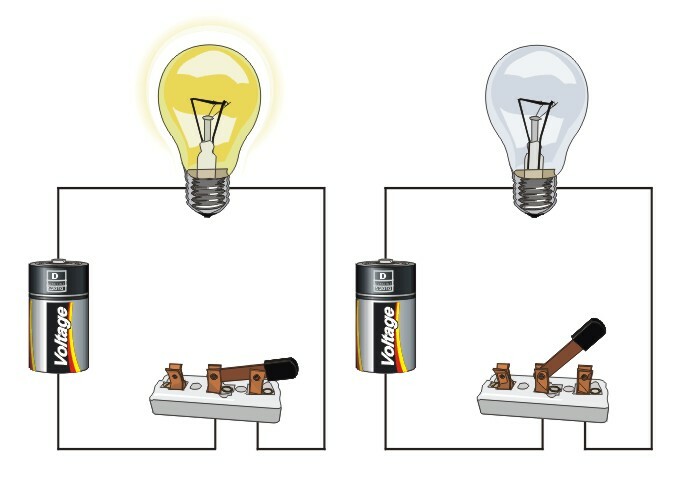 Flip the switch “On” and your circuit is closed or completed allowing electrical energy to flow to its target. Turn it “Off” and your circuit is open or incomplete. The energy is there but can’t bridge the open gap without action. This should be applied to your preps – and life in general. And the good news is that it only takes 2% more time, energy, and resources to give you a slight edge. There’s a dangerous mindset that new preppers embrace. This kind of thinking will sink you before you start. You have to have X amount of beans, bullets, and Band-Aids to be prepared. Once you’ve reached that defining moment, you’re prepared… for anything. Any veteran will tell you that preparedness is a journey, a marathon of skills, not a sprint to some illusive summit. Preparedness is a culmination of the tiny things over time. Meaningful improvements happen with consistent, minimal changes. Don’t fall into the trap of large visible events. The beauty of this mindset is that you only need an extra 2%. That may not seem like much, but over time it has a huge impact. This is why I say a daily process is more important than setting lofty goals. Our skills and abilities are not fixed… unless we decide they are. You’re life doesn’t have to come to a complete stop to learn how to safely pressure can your harvest or start a friction fire. Simply start giving 2% of your time to learn the basics. That translates to 30 minutes in a 24 hour day to learn a new skill. Take a Doing the Stuff lunch break. When I coached football in the 80′s, I never understood why we asked our players to give 110%. Not a realistic goal. That’s when I began to understand the 2% Solution. I only asked my players to give 2% more than the guy they were competing against in practice or the player across the line of scrimmage in a game. This was a mindset teenage jocks could understand and employ. They pushed themselves an extra 2% in fundamental drills, conditioning, strength training, and nutrition. Doing this stuff over the course of two seasons led to small gains over time which helped land us in the state playoffs after a years of losing seasons. You can find 30 minutes a day to work on your skills, right? Set boundaries on common time sinks. Social media sites are one of the worst offenders. I mean how many cute cat videos are really necessary!? Set a timer to budget the amount of time you’re willing to spend on Facebook or Twitter. When time is up, move away from the mouse! This saves you valuable time to devote 2% to your skill set. Hopefully no one remembers my epic fail at fire by friction. Actually, failure is our best teacher if we fail forward. I created a bow drill on training wheels a year ago. What I learned from this experiment is that I don’t need training wheels to create an ember with a stick and string. 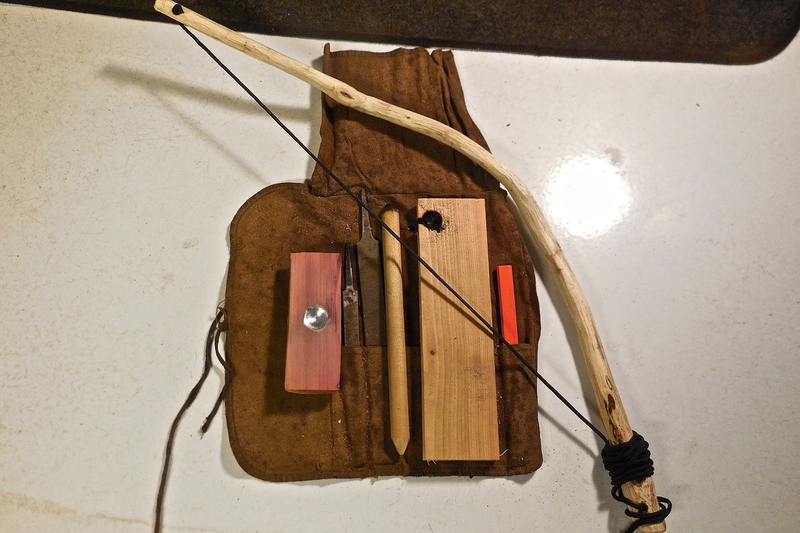 I successfully created an ember and fire with a bow drill last night with my friction fire kit! Here are the tutorials I watched (took less than 30 minutes) on the finer tips and tricks of friction fire by David Wendell at Bushcraft On Fire. Resource gathering is an important part of preparedness. If you’re like me, you don’t have time to waste looking for value-adding resources. I’ll save you some time and point you to our Doing the Stuff Trusted Resource list. There are more out there, but these folks I know and trust. You’re welcome to add suggestions to our list. The modern convenience-store mindset conditions us to want immediate results. If we could only reach that big event, we’d be ready. In reality, preparedness is not an event. It’s a chain of tiny stuff linked together over time. How do you plan to leverage your 2% this week, month, or year? Share in the comments if you don’t mind. Contributed by Todd Walker of Survival Sherpa.